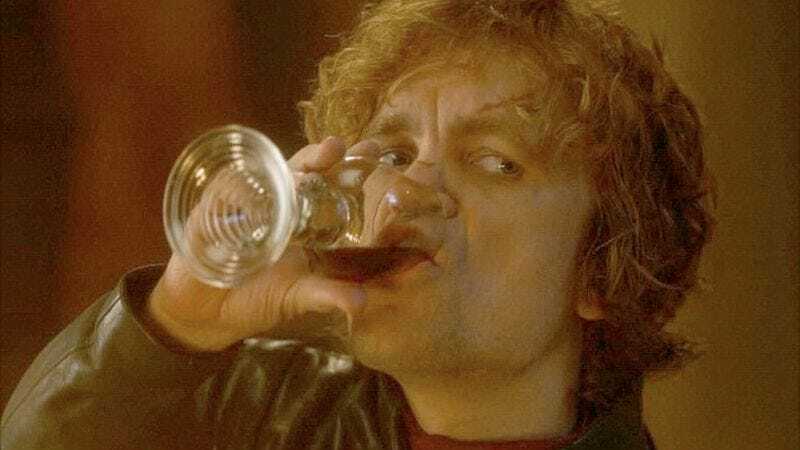 Lord Tyrion is its most vocal proponent, but everyone on Game of Thrones drinks a ton of wine. Fans of the series know that the finest wines in Westeros come from the Arbor, but such vintages are a luxury reserved for noble lords and ladies. So what do those who aren’t rich as a Lannister quaff after a long day of trying not to get murdered by roving bands of mercenaries? In the spirit of the Game Of Thrones cookbook and Ommegang’s Game Of Thrones beer (though not to the letter—you can’t actually buy any of these) comes the wine blog Vinepair, which took textual cues from Martin’s books and added their own creative license to make a wine map of Westeros. The North is too cold to support wine production, but high altitudes of the Vale Of Arryn produce light, acidic Rieslings, while the dry climate of Dorne results in a strongwine as dark as blood and as sweet as vengeance.